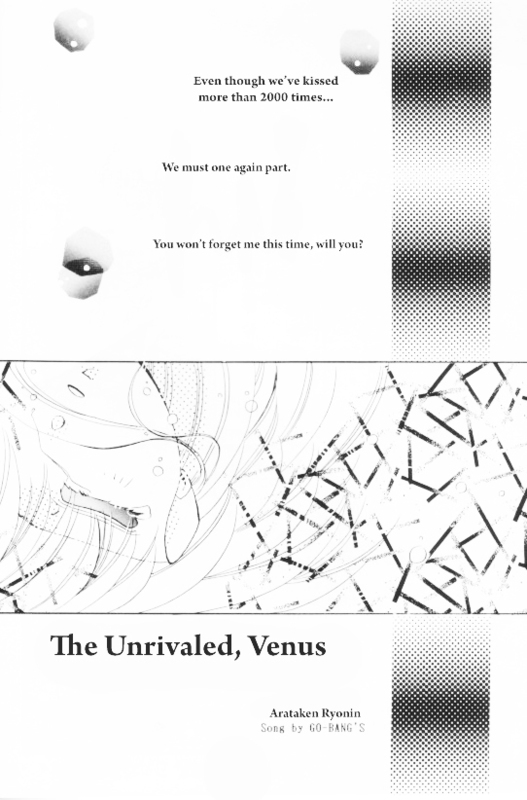 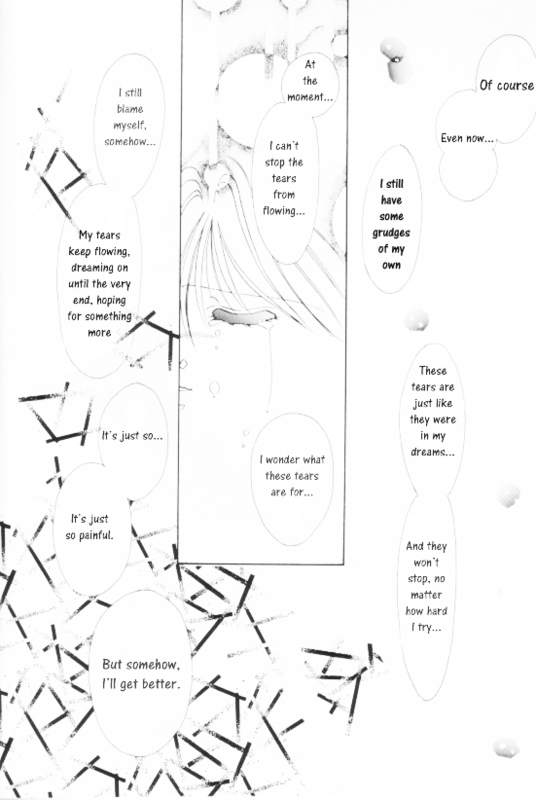 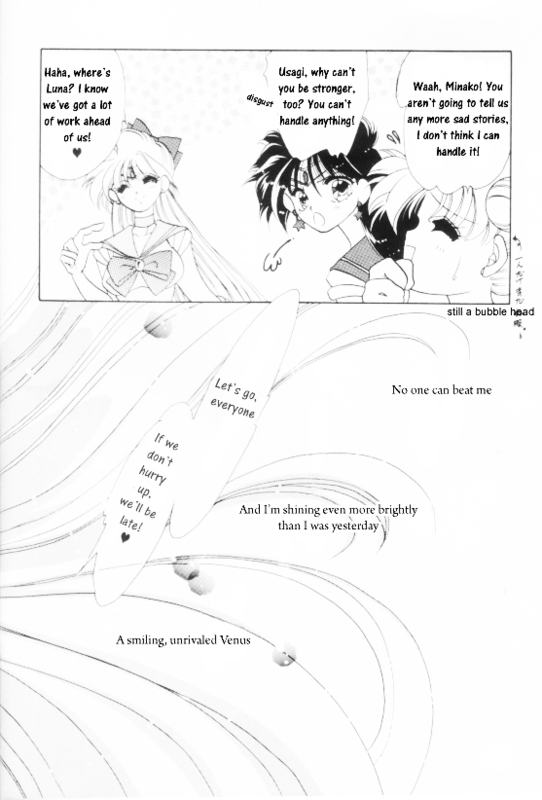 This story is one of three stories from a Doujinshi called “Lovesick wa Suki”. 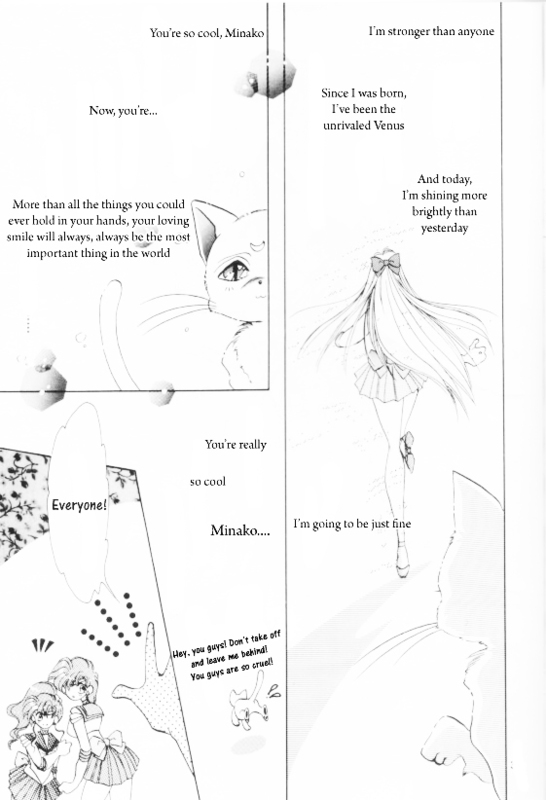 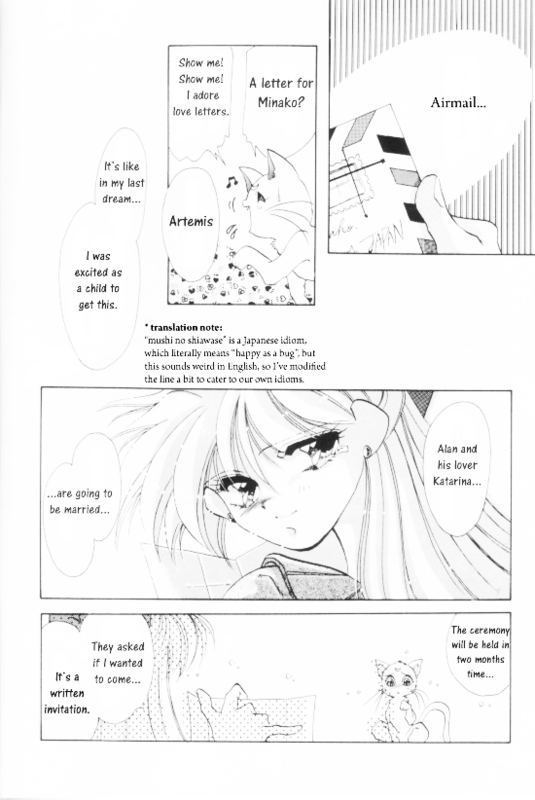 Minako receives a letter from Alan and Katarina, containing an invitation to their wedding, Naturally, she is upset and ponders upon the situation. 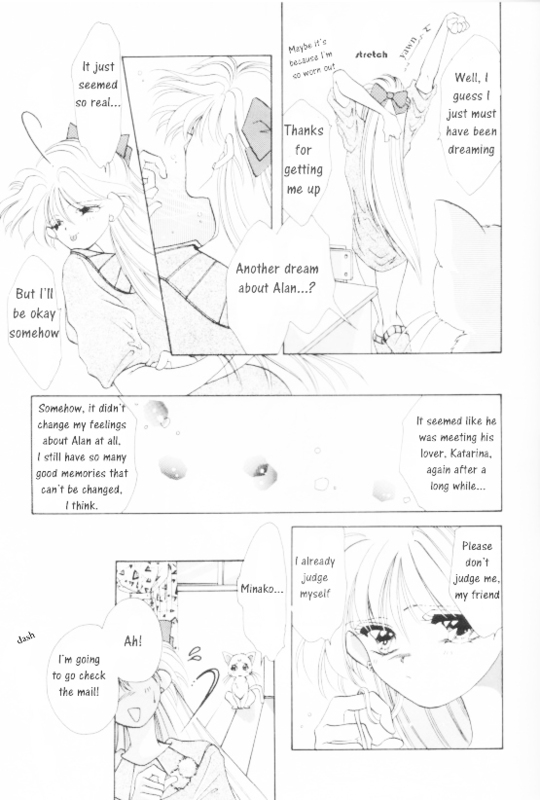 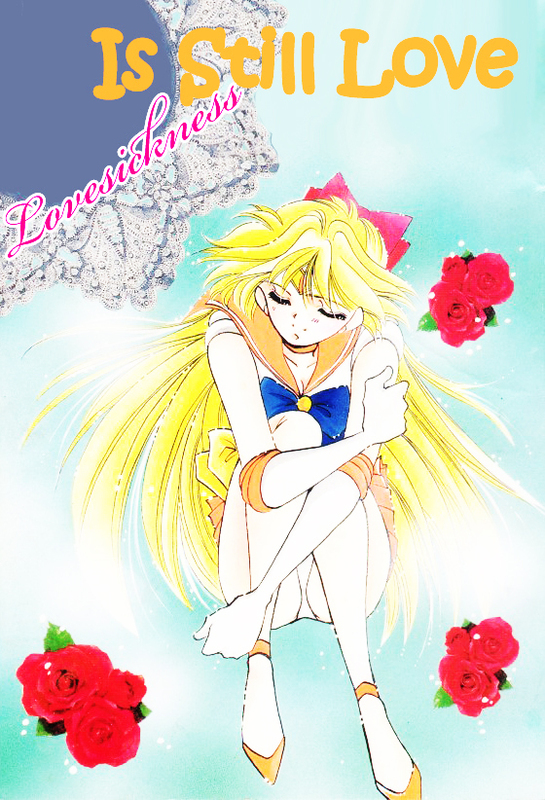 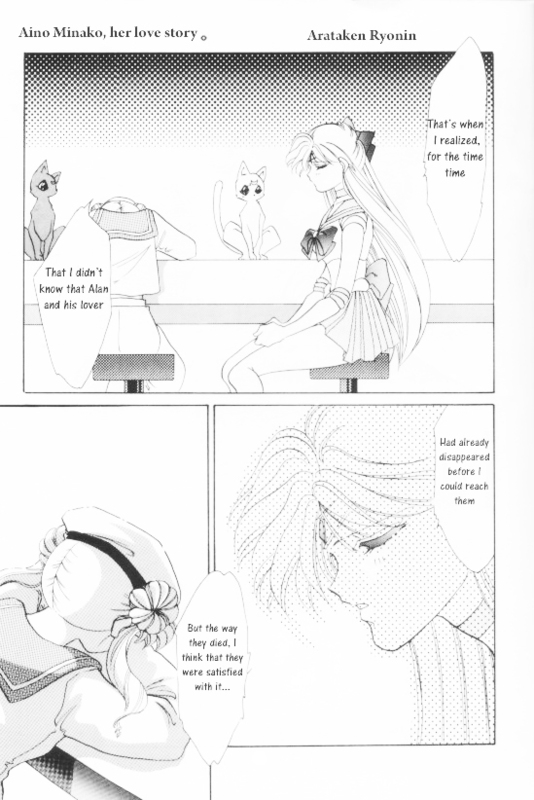 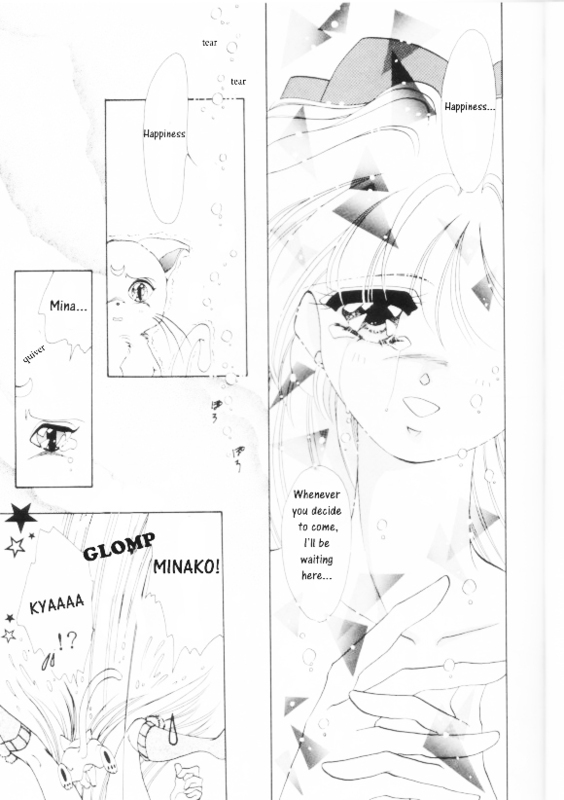 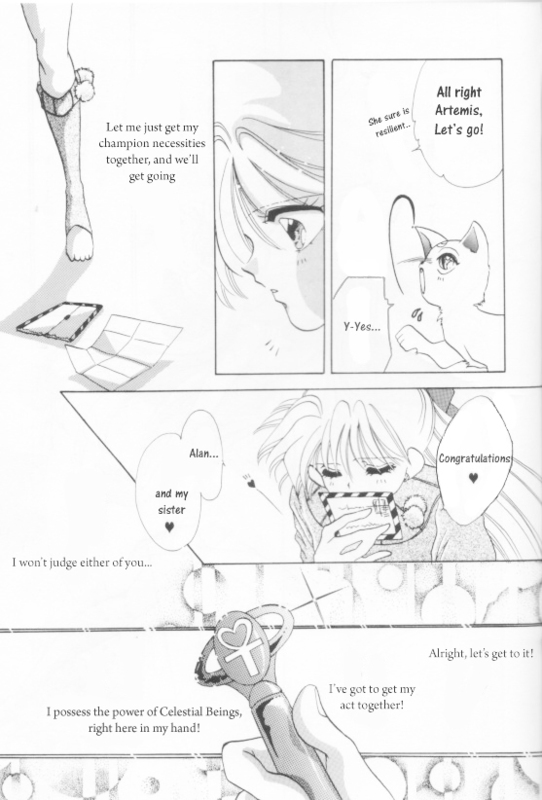 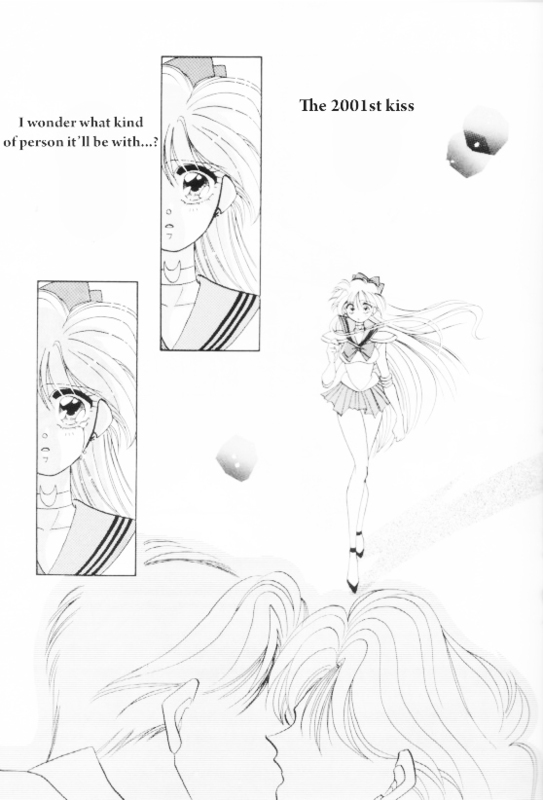 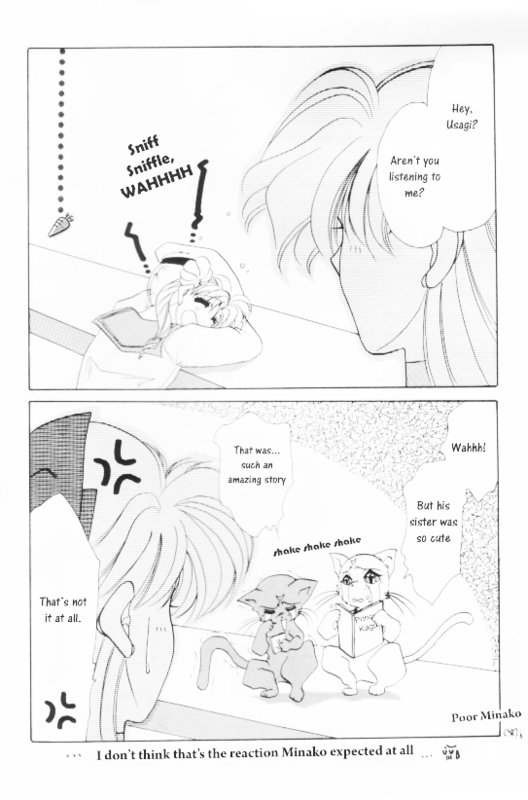 The scans from this doujinshi are from Sailor Moon.biz.